Hot in PS now we have to stay close to the pool. Callie in the Chambray top MK, I like the Sloane bag with the scalloped gromette detail. 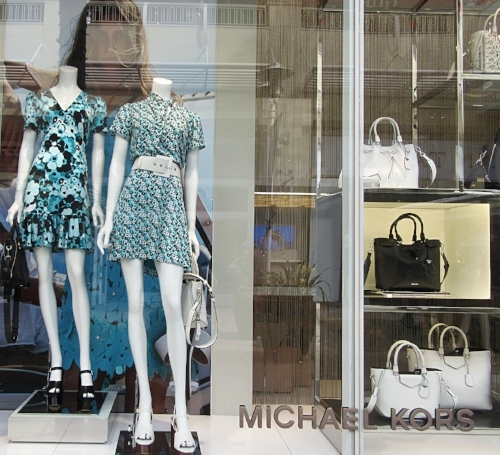 photo credit: Michael Kors.com, and Jasmin b.
Michael Kors Spring Summer in blue and Turks + Caicos, lace and flowers. So very fresh and cool. The Blakely bag in white. Nautical with a Hippie vibe. 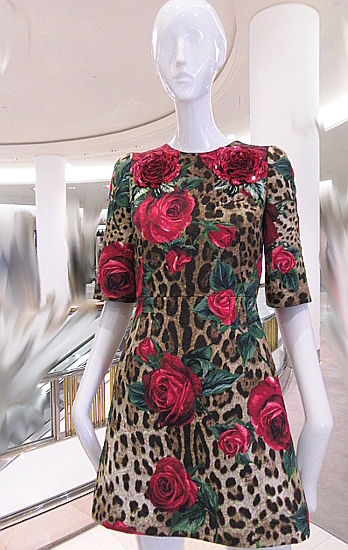 Jungle leaf dress, Oscar de la Renta at SFA. 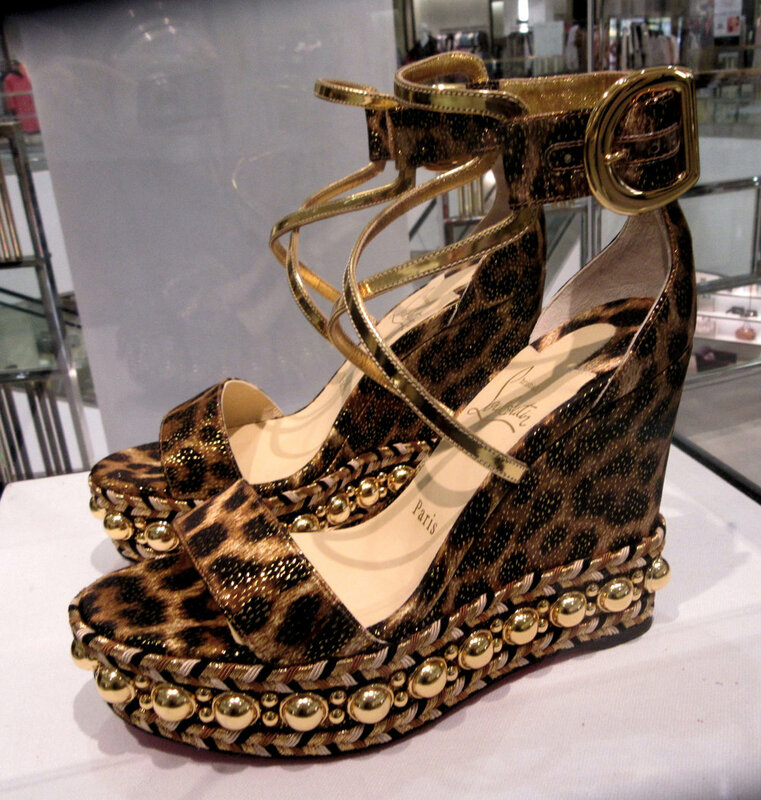 Somehow this seems so Dolce, lush and jungely. Limone di Garda, hugging the rocks at Lago di Garda, Italy, is the back drop for a week end. Red tops, skirts, sandals are a must. It's Hot in the desert Help!